Age-related macular degeneration (AMD) is a deterioration or breakdown of the eye’s macula. 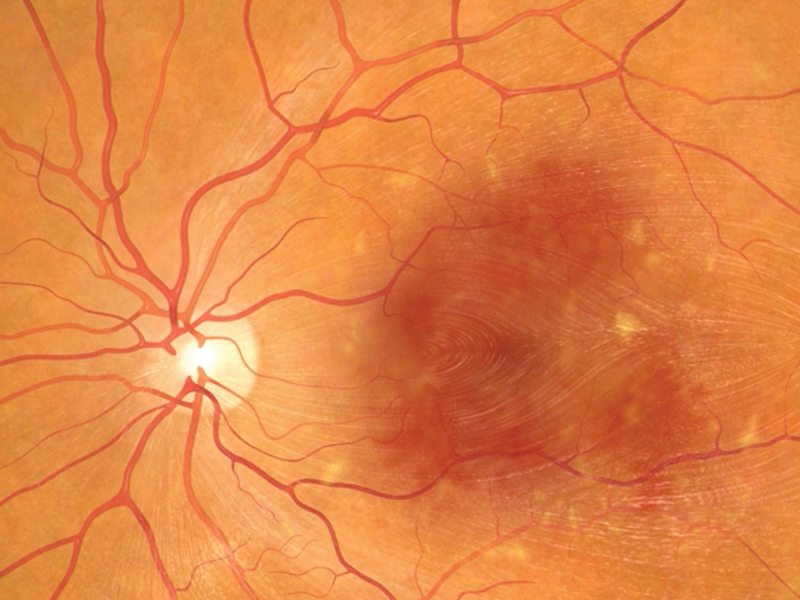 The macula is a small area in the retina — the light-sensitive tissue lining the back of the eye. The macula is the part of the retina that is responsible for your central vision, allowing you to see fine details clearly. This grid is an excellent way to watch for subtle changes in macular degeneration. We recommend that you check this grid once per week, or more often if you are noticing changes. Wear your glasses to check the grid if you normally use them for reading. Cover one eye and hold the grid about 14 inches away. While looking at the center dot, determine if there are any recent changes in the grid pattern such as lines that are wavy, bent, broken, or missing. Cover the other eye and do the same. If you notice any new change upon testing, call your optometrist at Midwest Eye Consultants immediately for an appointment. With regular check-ups, early diagnosis and new treatment options, the doctors of Midwest Eye Consultants are often able to maintain and improve the vision of patients suffering from AMD. Be sure to schedule your annual eye health exam today! Be sure to schedule your annual eye exam at a Midwest Eye Consultants’ office near you.